Senior Counsel Anand Ramlogan, who is representing Speaker of the House of Assembly, (HoA) Hon. Julian Willock in the court hearing over the application for a judicial review of the Speaker’s decision not to swear in Mark Vanterpool as District Four Representative, has told Vanterpool to go back to the polls. “What are you scared of?" he asked of Mr. Vanterpool yesterday, April 12, after voicing his objection to the application for a judicial review. 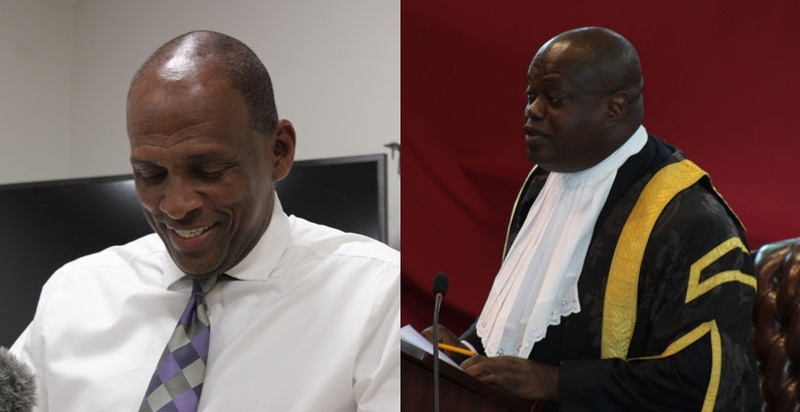 Earlier in the day’s proceedings, Senior Counsel, Edward Fitzgerald, QC, who is representing Mr. Vanterpool, argued that his client did not have the constitutional right to resign from the post as he has not been sworn in. However, According to Ramlogan, taking into consideration Mr. Vanterpool’s right to liberty, he has a right to do as he pleases as long as his actions are within the confines of the law. He later added that the cause ought to be dismissed. In court, Ramlogan told Justice Ann Marie Smith that a judicial review is a wholly inappropriate to invoke the court’s jurisdiction on the issue. Mr. Ramlogan pointed to Mr. Vanterpool’s statement on why he is seeking the review, highlighting that Vanterpool said he has no other option of redress. This, the Senior Counsel said, is misleading, adding that Vanterpool had the option of seeking a no-confidence motion against the Speaker, or having the issue debated in the House. "Didn't Mr. Vanterpool try that?" Justice Smith questioned, in response. “It is not an impasse without a resolution,” Ramlogan stated, adding that the use of the law to avoid the political solution—which is a by-election—is wrong. However, Vanterpool’s Legal Representative, in response, reminded the court that it was Willock who wanted the issue brought to court. “Now, he’s saying you shouldn’t be going to the court, but back to the people,” Fitzgerald pointed out. The hearing continues today, April 13. As the hearing for the request for a judicial review into Speaker Hon. Julian Willock’s decision not to swear in Mark Vanterpool as the representative for the Fourth District commenced earlier today, April 12, the Legal Representative for Vanterpool is contending that the resignation letter that was tendered to the Clerk of the House of Assembly (HoA) was invalid, because it was neither addressed to the right person—the Speaker—nor did Vanterpool have a constitutional right to resign. Senior Counsel Edward Fitzgerald, QC, who is representing Vanterpool before Justice Ann Marie Smith, is seeking that the court makes a declaration that the resignation letter was invalid, and therefore the Fourth District Seat is not vacant, and for there to be a judicial review of the Speaker’s decision on the issue so that Vanterpool can be sworn in. In his address to the court, Mr. Fitzgerald stated that his client has not resigned, noting that the same position is shared by both the Attorney General Baba Aziz and Governor Augustus Jaspert. However, for some unexplained reason, that is not the position of the Speaker, he stated. He pointed to Section 67 (3) of the Constitution which reads, “An elected member of the House of Assembly shall also vacate his or her seat in the House— (a) if he or she resigns it by writing under his or her hand addressed to the Speaker,” which he said is the heart of the matter. Further, he stated that the letter, which was addressed to the Clerk, instead of the Speaker, was invalid because it was penned by Vanterpool, who is not yet sworn in as a member of the House of Assembly (HoA), therefore he could not resign. The Constitution, the Counsel argued, must be strictly adhered to. 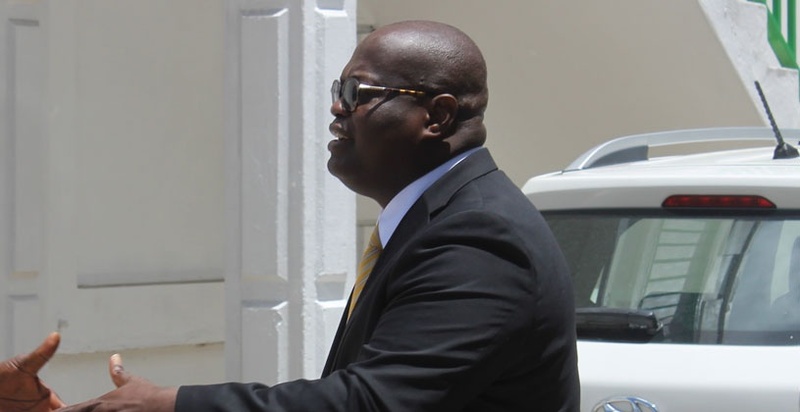 Mr. Fitzgerald also referred to Willock’s previous utterances that he would be sticking to his 'ruling' on the matter—where he accepted a resignation letter that was not addressed to him. There was no ‘ruling’, the Lawyer posited, as a ruling could only be given in a deliberation in the House. Mr. Fitzgerald reflected on the fact that both the Attorney General and Governor had stated that based on the Constitution, there is no vacancy in the HoA, and the letter was invalid. He further pointed to Willock’s claim that he had gotten judicial advice from legal minds on the issue, that challenged the AG and Governor’s stance—advice which he has not provided or said who he got the advice from. According to Mr. Fitzgerald, his client is being denied his constitutional right, which is being assaulted by the Speaker. In his remarks, Mr. Fitzgerald reiterated that his client “cannot vacate a seat that he does not hold,” and to resign he must already be sworn in as a representative. You can't get divorced until you are married. The night he was confirmed as elected member of the 4th is the night he got the job. Seeking to have the case dismissed simply means the speaker do not have any legal support over his actions and that all he wants is a by-election and is prolonging this issue for really no apparent reason except personal and political bias. Had this been a VIP member, he would not be taking this approach. This grey area that some is touting do not exist. The simple fact is whether there was a speaker or not, the constitution clearly states the letter MUST be addressed to the speaker. When a speaker is appointed the speaker would take action on said letter addressed to him/her. A speaker must be appointed, so the constitution do not need to say anything other than what it says. It do not need to state that in the absence of a speaker, that resignation must be addressed to the clerk who hold absolutely no power. A speaker will be appointed and when said is done, action would be taken, but unless something is addressed to the speaker, the speaker cannot take action, hence the letter being invalid. I really don't care if Mark is sworn in or not, but the law is the law and it must be followed regardless of your personal feelings. The AG and the Governor both publicly stated that the letter is invalid, there is no reason for us to be here today dealing with this. Swear the guy in and move on. The Governor is the only one who can call a by-election and he already stated his position so what next, the Governor in court? He is a clown,he don't know what he wants. What a crock of caca. This lawyer good in his head? Or is he trying to be relevant. Willock probably trying to give the lawyers a job...can't see why he push to have this go court when the matter is simple once u refer to the Constitution....let Mark GO SEH DUNGGG.. In his 4th district post please..and jam done. This is very true Mark might not have had a constitutional right to resign. But on a point of order mr attorney. Mark is a grown man. If he was offered a position and he refuse to accept it that is his rights. If Mark sent the resignation letter to the wrong person agreed. Did he not also sent it the the folks who elected him in D4. Let's also find out if there accepted it by going back to them. In law there is expressed and implied he did both. Sometimes we can Express without implied and that is accepted In law. He did both what else do we want. The Hon Speaker should have asked my advice. @ Interesting. The Hon. speaker did not ask your advice. He didn’t resign as such he simply dropped out. He had not been sworn in. Apply some common sense here. If a future candidate is elected and then decides he doesn’t want the job or if he does before he is sworn in then the job should go to the person who came in second. Obviously, you cannot read. Therefore because of your "stiff neck" just like the speaker, your comment is fruitless. If you run for Government and won a district Rep seat you cannot just "Drop Out" after election is over PERIOD! Mark would then have to be sworn in and the RESIGN that's how it works. you must be a grafted moomoo. Just wondering, how can you resign from a position that you do not yet hold? MV was simply in the status of being the "potential" legal representative of a district until such time as he was sworn. He could not quit a job he did not have..... Moreover, a Speaker does not have authority to decide who will or will not hold positions in the administration. His job is to administer an oath to the choice of the electorate.